For any holiday in Mexico, street corner vendors take over, hawking flags for Independence Day, Guadalupe statues for Guadalupe Day, fake mustaches for Revolution Day, and team jerseys for the football finals–because that’s as big a holiday as any in Mexico! Christmas in Mexico is no exception. 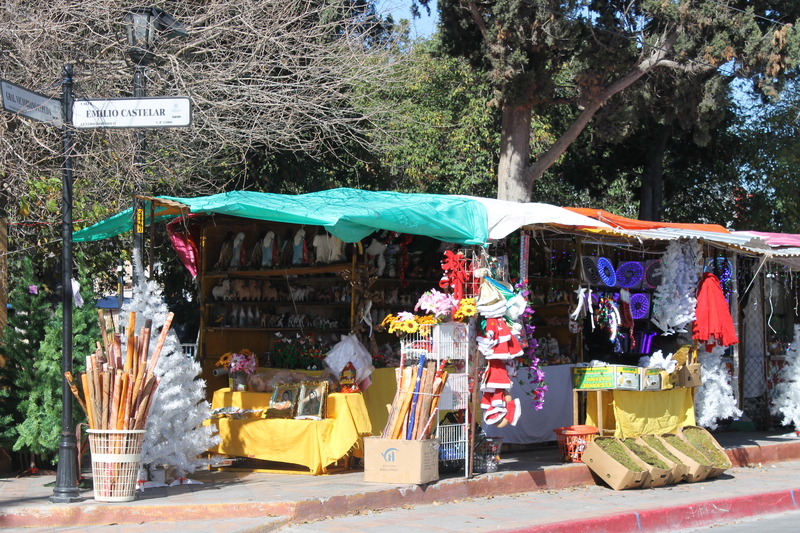 But instead of merely just the street vendors hawking Christmas trinkets, entire plazas get taken over and turned into a veritable Christmas market. 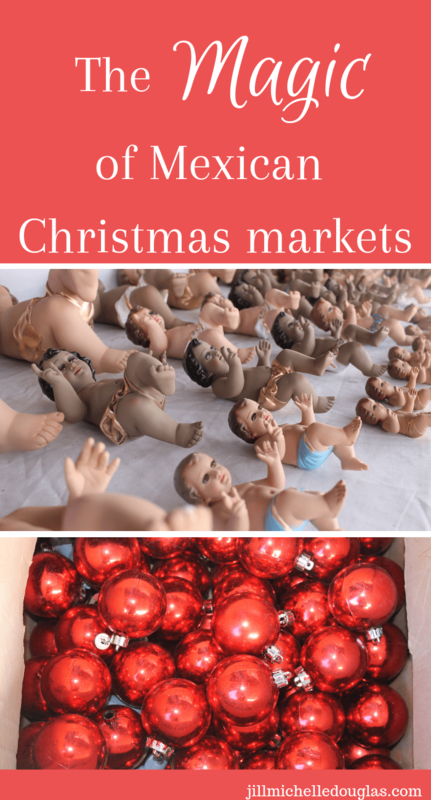 What will you find at a Mexican Christmas market? 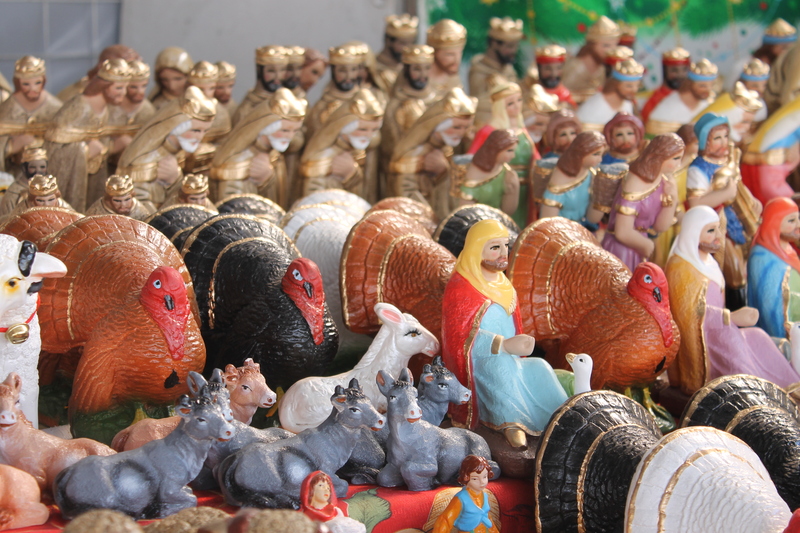 Throughout Mexico, the national obsession from mid-December to the 2ed of February is arranging enormous nativity scenes. 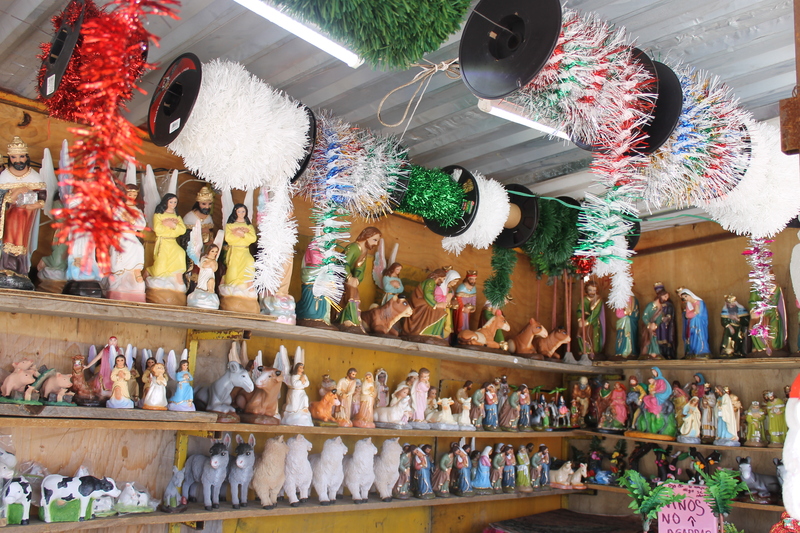 As I mentioned in an earlier post, I’m convinced that there’s an unofficial competition among all the Mexican grandmas as to who has the most elaborate Nativity Scene. These things literally take over the large part of most living rooms! 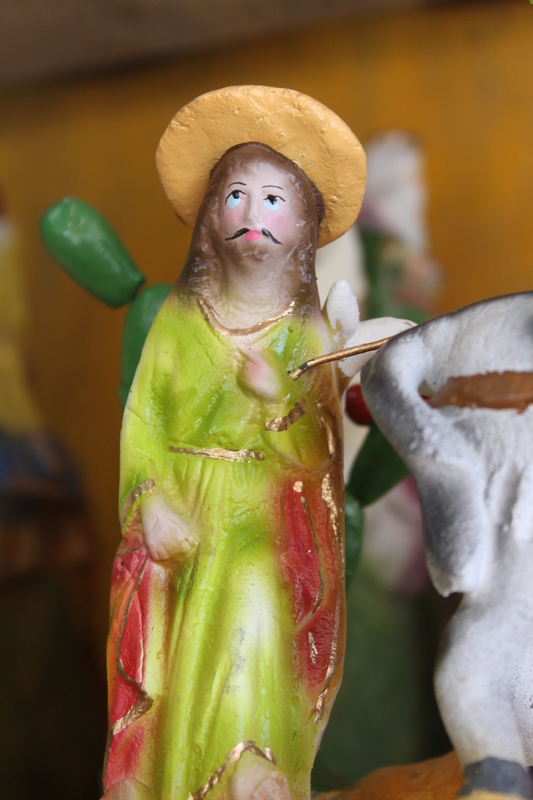 Where to all these abuelitas get the figurines for their Nativity scenes? At the Christmas market, of course! 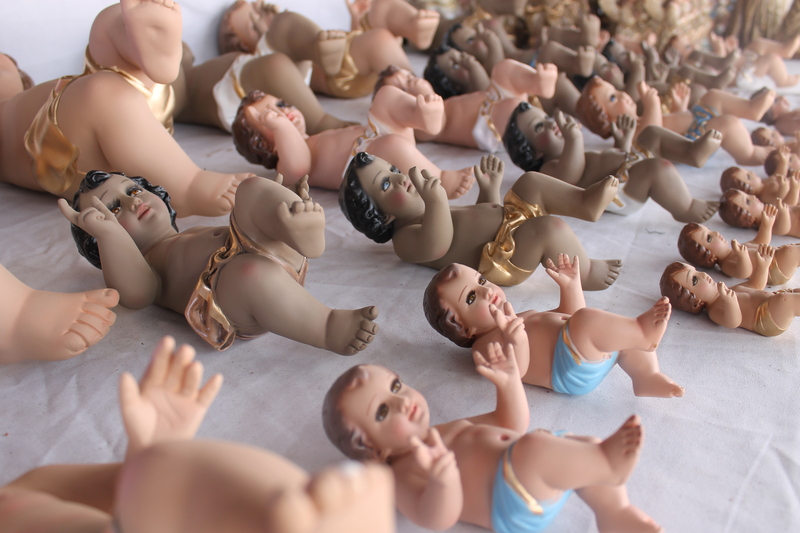 There are rows and rows of baby Jesuses, Wise Men, Angles, cows, shepherds, Marys and Josephs . . . plus ladies making tortillas, old men roasting goats, and Satan. They also need stables to house Mary and Joseph, and moss for them to rest on. 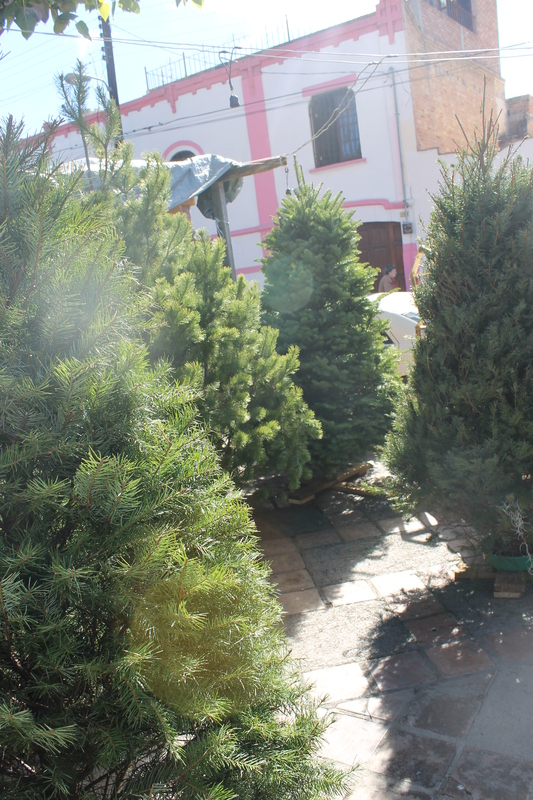 Christmas trees are popular in Mexico, too. Mexico is quite mountainous, so one doesn’t have to go far in order to find a decent pine forest. 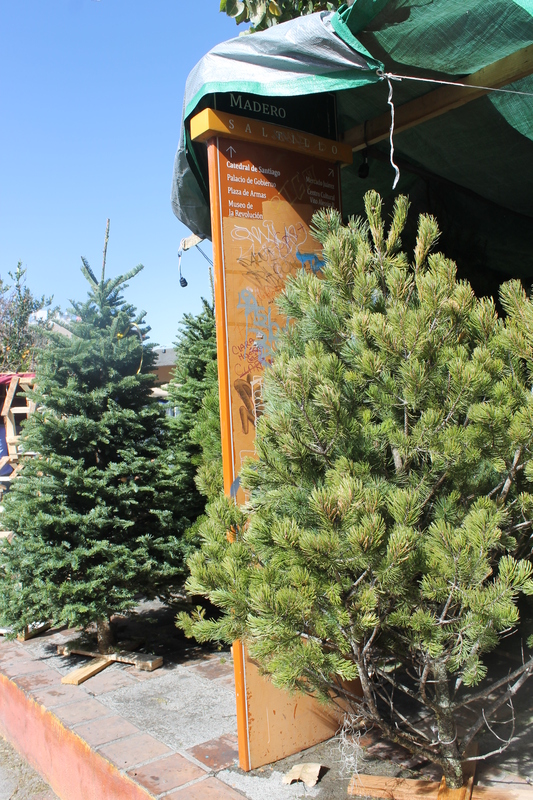 But most trees are imported, so check with the seller if you’re dead-set on finding a locally-sourced one. 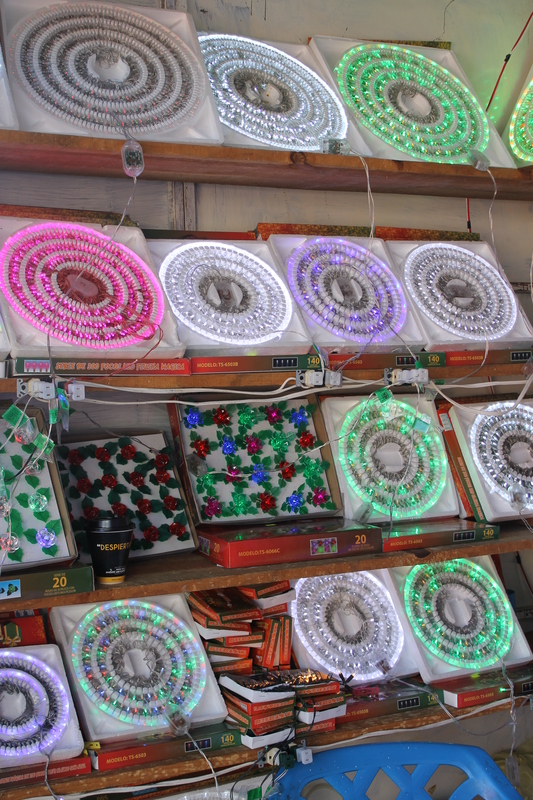 And there are plenty of people at the Christmas market selling lights to put on that tree! Good luck finding a strand that doesn’t play annoying music. A quality Mexican Christmas market will have stands selling ponche and champurrado–and if there’s champurrado, there’s likely tamales, too! What is ponche and champurrado? 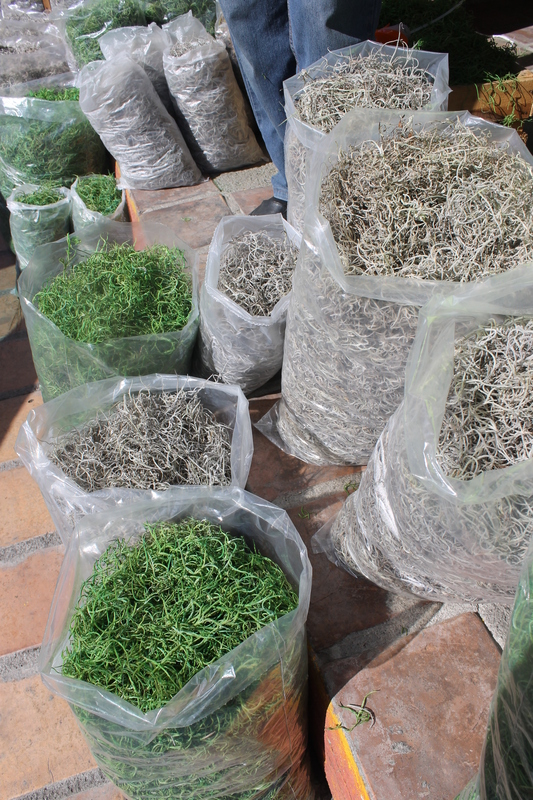 Selling ponche in huge quantities–as it was meant to be! Ponche is a hot, fruit punch, made from apples, guavas, tejocotes, sugar cane, cinnamon, and piloncillo. It’s just marvelous, and very seasonal. Part of the ponche magic is eating the fruit along with the drink, so ponche should be served with a spoon or fork. Champurrado is basically hot chocolate, fortified with tortilla dough. It may sound weird, but it tastes amazing. That extra thickness from the dough makes it even thicker, so it’s more of a stick-to-your-ribs kind of drink than normal hot chocolate. Or there are plenty of other hot drink/tamal/gordita options right behind the cathedral, on the corner of Calle Bravo and Juarez, and around the Plaza San Francisco. 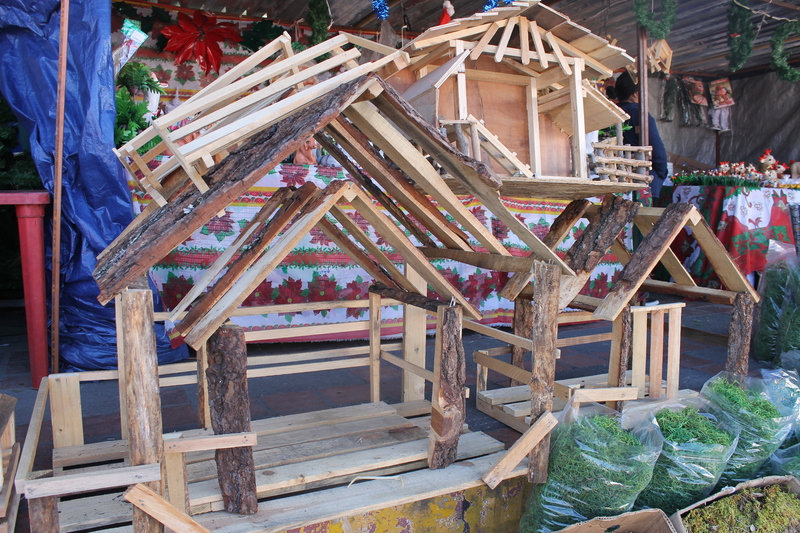 Where’s the Christmas market in Saltillo? Joseph with a Zapata-style mustache! Don’t get Plaza Francisco I. Madero confused with Plaza San Francisco. That’s just a block up the road. Or, if you get to Plaza San Francisco, walk down the street (literally, down–this is Saltillo, and the city was built on a hill) and you’ll find it sooner than later! If you’re elsewhere in Mexico, poke around any historic city center, and there is bound to be a Christmas market somewhere.